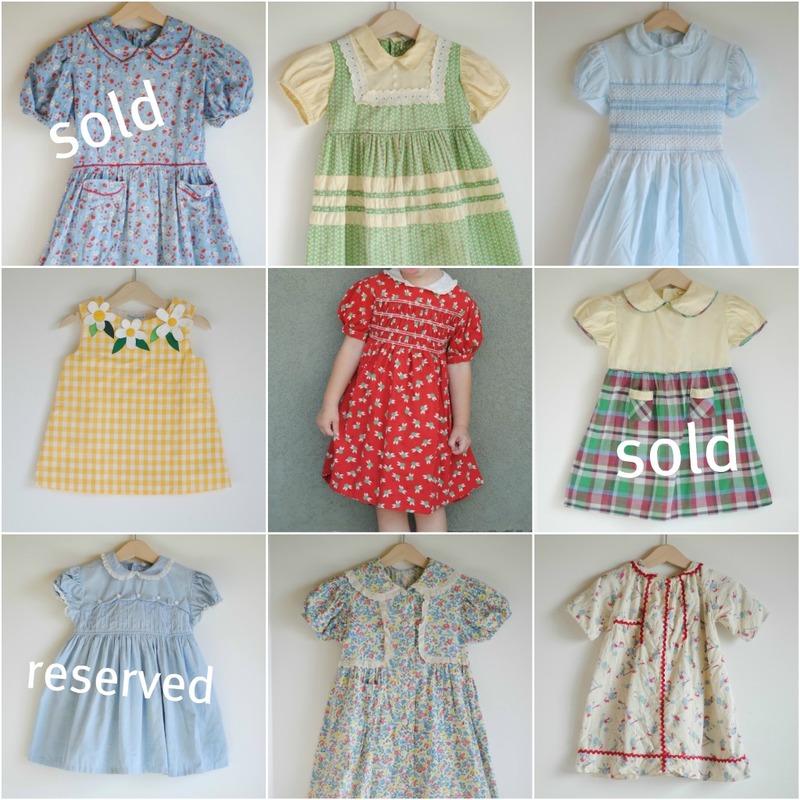 hart + sew | Vintage Baby Clothing: shop update: pretty frocks! Currently working on a shop update... They are going fast, so I thought I'd pop in and let you know. If you want to take a closer look head on over. As always, for real time updates you can follow me on twitter. Thanks! And that was such a nice article/ interview at Ohdeedoh! Your blog is always such a pleasure to visit. Y'all have a good weekend!